“No,” Stagg said emphatically. He has been talking about declines in Appalachian coal production for 10 or 15 years and sees current circumstances as only its most recent challenges. “You’ve got coal-fired power plants that are closing. Some have been on the board for five years or more to be closed. They’re old, they’re inefficient. It was no secret,” he said. The extended global and U.S. economic downturn has reduced demand for coal, he continued. Power producers have been lured to cheap natural gas. And most fundamentally, in Central Appalachia, a century of mining has left thin seams of coal in small blocks that cost more to mine than other coal. Stagg is irked when those who are in a position to educate the public and help plan for the decline of Appalachian coal use its decline instead for political gain. 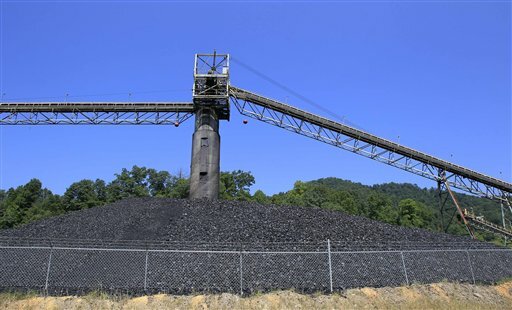 Given the structural changes in the region over the past several years, Stagg asked pointed questions of an industry that he said is reluctant to accept the realities facing the Central Appalachia coal fields. If you want to read any of the reports on this issue for yourself, I posted links to some of them here. Many of us have posted for years that we need to diversify our economy in this state, and that not NEARLY enough is being done in that regard. I personally think(and have posted numerous times) that much of the time and energy that Environmentalists spend on fighting MTR mining would be better used in “encouraging” our state leaders to work harder to create a better business environment for manufacturing jobs in WV. We rank pretty far down the list in what these companies look for, so there is plenty of work to be done in this regard. More preassure here, and our economic outlook just might be a bit less tied to the fate of King Coal. I think everyone would welcome this change, and now is the time to do it (when the manufacturing is allready looking to relocate in many cases, in order to find a way to remain profitable). We have a hard working work force that needs the jobs, we have space for them to build … we just don’t have the legal / tax environment to be attractive.